B. Bach, E. Pietriga, and J.-D. Fekete. 2014a. 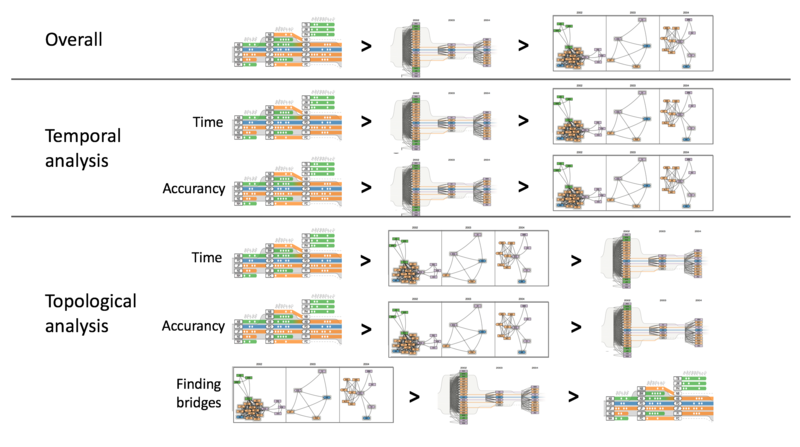 GraphDiaries: Animated transitions and temporal navigation for dynamic networks. 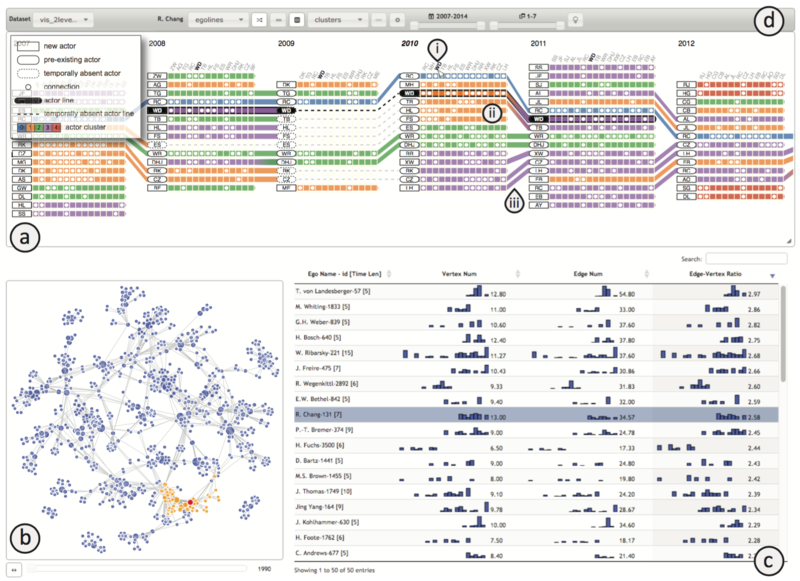 IEEE Transactions on Visualization and Computer Graphics 20, 5, 740–754. B. Bach, E. Pietriga, and J.-D. Fekete. 2014b. Visualizing Dynamic Networks with Matrix Cubes. In Proc. SIGCHI Conference on Human Factors in Computing Systems. 877–886. van den Elzen, S., Holten, D., Blaas, J. and van Wijk, J.J., 2016. 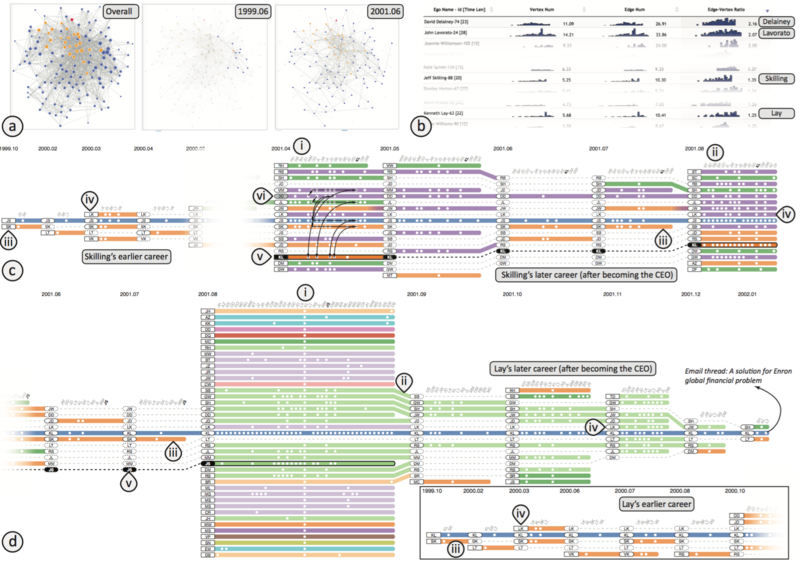 Reducing snapshots to points: A visual analytics approach to dynamic network exploration. IEEE transactions on visualization and computer graphics, 22(1), pp.1-10. Zhao, J., Glueck, M., Chevalier, F., Wu, Y. and Khan, A., 2016, May. 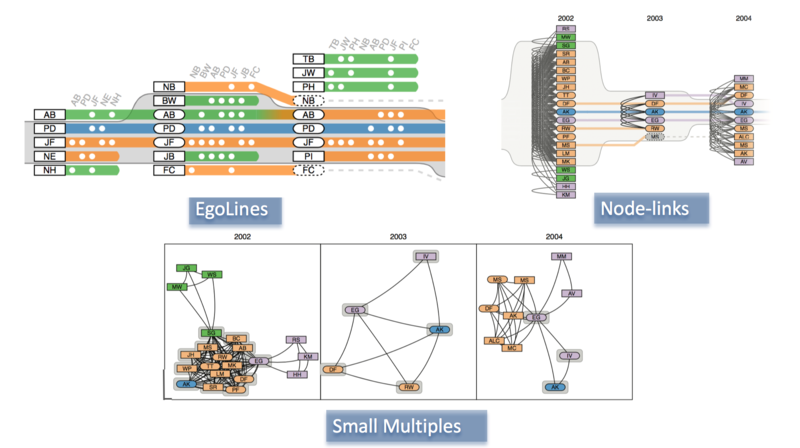 Egocentric Analysis of Dynamic Networks with EgoLines. In Proceedings of the 2016 CHI Conference on Human Factors in Computing Systems (pp. 5003-5014). ACM.